Under this activity, pupils prepared for their fellow pupils sports games in the gym and funny board games focused on mathematics and the Czech language. They thus tested the physical fitness and knowledge of younger schoolmates. 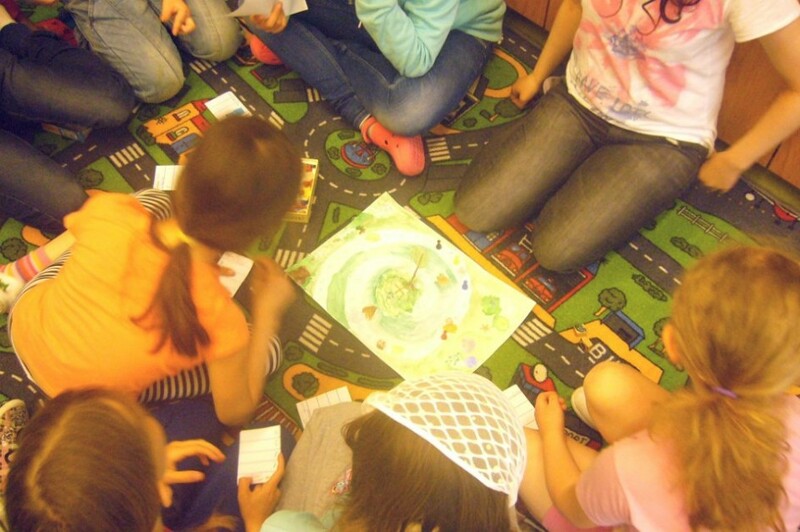 In this activity, fifth-graders used their knowledge, experience, and skills to offer their younger schoolmates sports games in the gym and board games at the table. In a fun way, younger pupils were not only taught new things, but also stretched their bodies; they had a chance to try something for which there is no space during normal classes. Fifth-graders were first divided into teams. Each team was dedicated to making up their activities, finding out the level of knowledge of younger pupils, and identifying possible sports activities (consulting the teacher, examining equipment options, comparing their ideas with reality, searching for information on the Internet). In the second phase, fifth-graders started working with younger schoolmates – they introduced them to their activities and divided them into groups. Each team of fifth-graders took care of one group of young pupils. At the conclusion, fifth-graders conducted an evaluation and rewarded young pupils. Further, they assessed the success of their activities (response of the young pupils, how they estimated their knowledge and skills, what should have been done differently…). The teams used digital media for recording the activities during their preparation and implementation (mobile phones, video cameras, cameras). The activity was research-oriented – pupils examined the level of knowledge and skills of younger schoolmates, identified which mathematics or Czech-language topics would be best for practice using games, and investigated to which the extent they would be able to realize their ideas about the possibilities of physical activities (in terms of demands and, primarily, safety). Interdisciplinary links between the subjects Czech language, mathematics, PA, and informatics – linking the knowledge acquired in the fifth grade with the knowledge of younger pupils. Pupils had to work in teams, divide their roles, and cooperate with other teams (collaborative learning). Some photos from the activity, you can see here. Some children didn´t listen to us. We didn´t have any problems. Children didn´t understand some examples. I didn´t use any digital media. We didn´t work with digit. technics. I learnt to organise and manage the pupils. I will evaluate the tasks more carefully. I will listen more attentively. I will change the place for aktivity. It should better correspond to the age category. We will improve the timing.